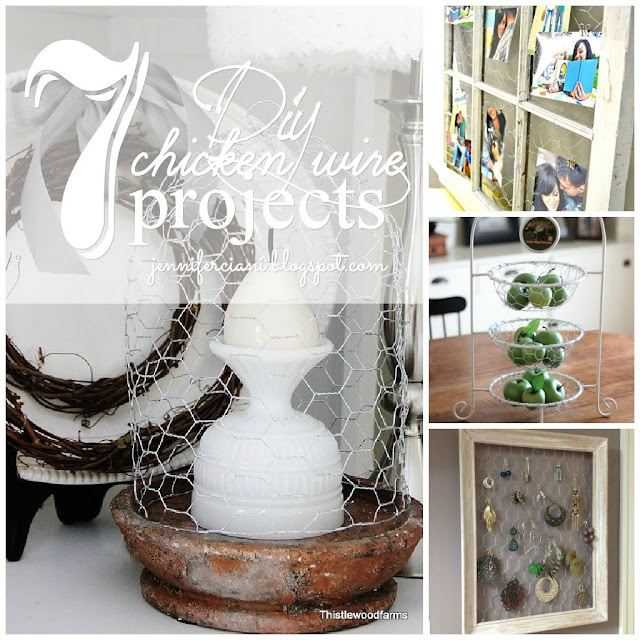 Have you ever noticed how many uses there are for chicken wire? and thought I would share with you all a few of my favorite inspirations from fellow bloggers! 1. This beautiful little cloche from THISTLEWOOD FARMS is one of my absolute favorites. 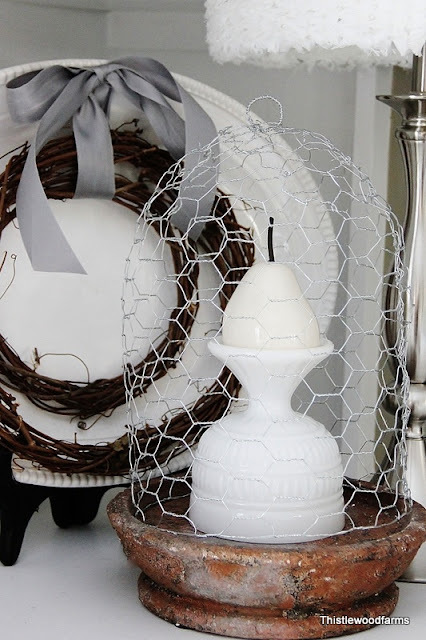 Who knew making a cloche would be so easy? I might just have to make one (or three) of them for myself! 2. This chicken wire plant stand from THE NORTH END LOFT is such a great little project! 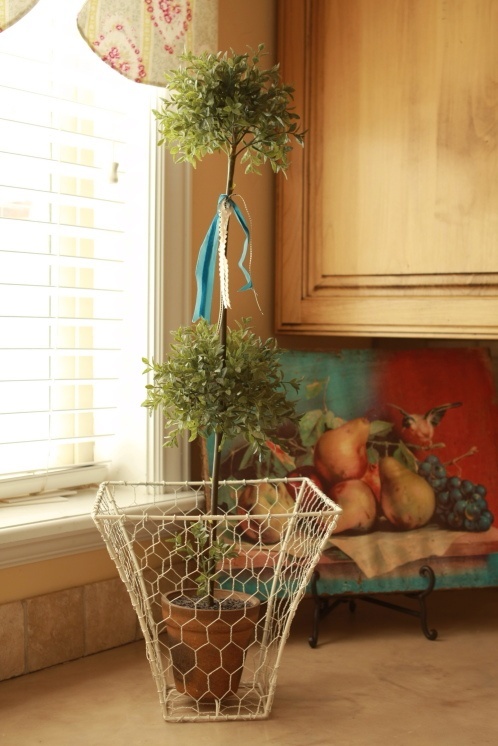 I love how it can sit on your kitchen table year round. 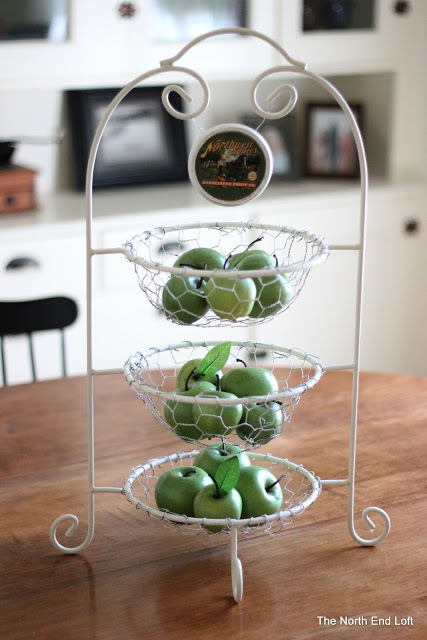 Not only great for holing fruit, but imagine how many other uses it can have as decor during holidays, it would be great in a baby's room to organize baby items or to hold favors for birthday parties! Endless possibilities! 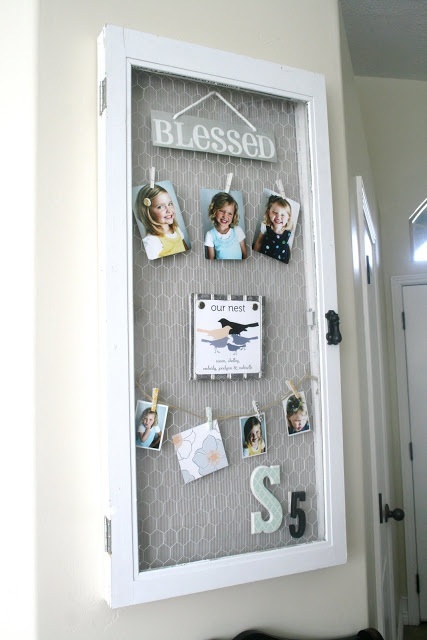 but this window chicken wire picture frame from LIZ MARIE BLOG is a great one! off of cherished pictures & keepsakes! 5. If you know me, you know that I am obsessed with mason jars. 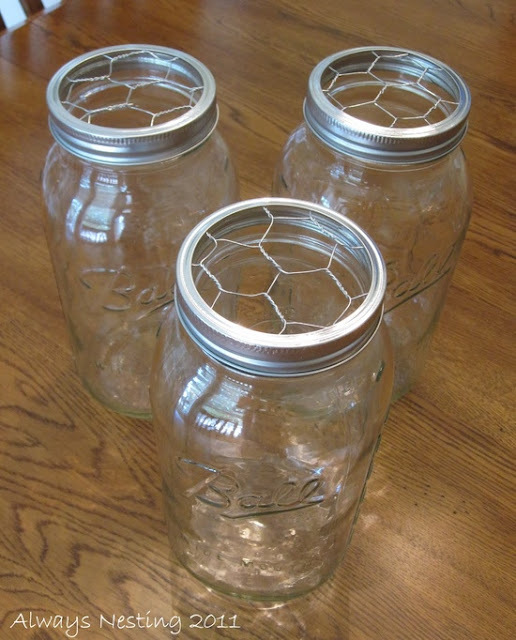 You can see them all over my house used for many different things, and after coming across this idea from ALWAYS NESTING I couldn't believe I didn't think of it myself first, duh. but as Calli from MAKE IT DO shows us in her tutorial, it is super simple to make your own. 7. This last project idea was one I found on an image search, and unfortunately was unable to find the source, but I love the idea of using an old picture frame and some chicken wire as a jewelry organizer. 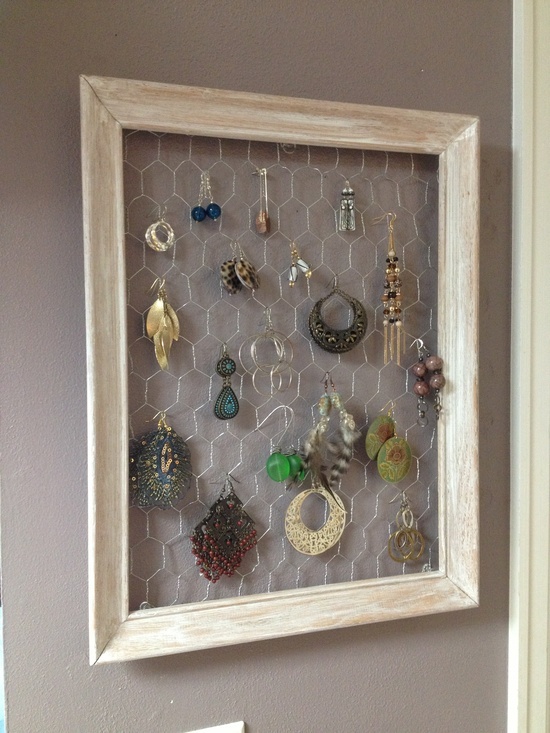 So easy & your jewelry becomes art! Hey Jen! Thanks for sharing! These are awesome ideas! Hi Jen, those are all great projects, I made one of the chicken wire cloches a few years ago. I spray painted it black and i still love it. Hi!! You showed 2 shades, for lamps, but I can't find directions for the white one, it's not the rosettes one??? ?